Syed Shah, franchise owner, stands in front of the Burgerim at 7 Federal Road in Brookfield on Tuesday, May 22, 2018. 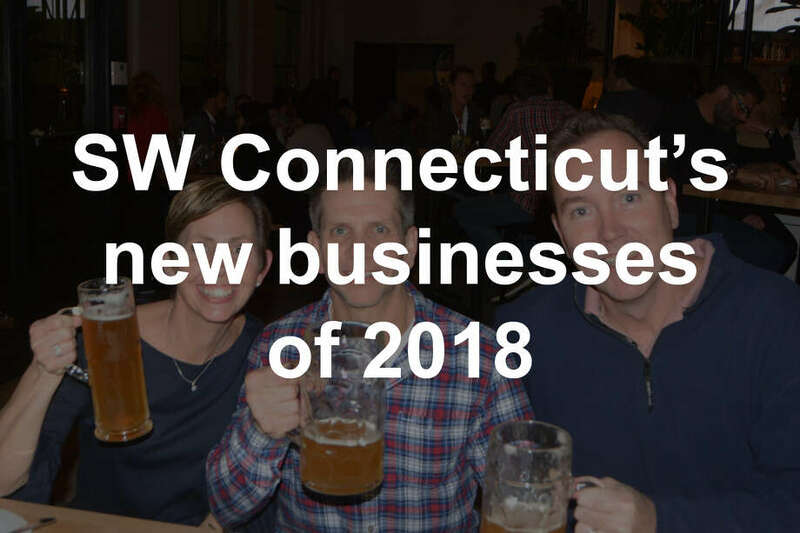 The restauant, which will be the first Burgerim in Connecticut, will open in early June. A new concept in fast-food hamburgers is spreading across the country, and Brookfield will be the first in New England to experience it. Burgerim, a Los Angeles-based, fast-casual restaurant franchise with aggressive expansion plans, will open at 7 Federal Road in early June. Burgerim offers four types of beef, two types of lamb, chicken, salmon and falafel for its slider burgers and salads. All food at the Brookfield location will be halal, making it permissible for Muslims to eat. Halal shares similarities with the kosher designation in that it describes how the animal is slaughtered and prepared for consumption. 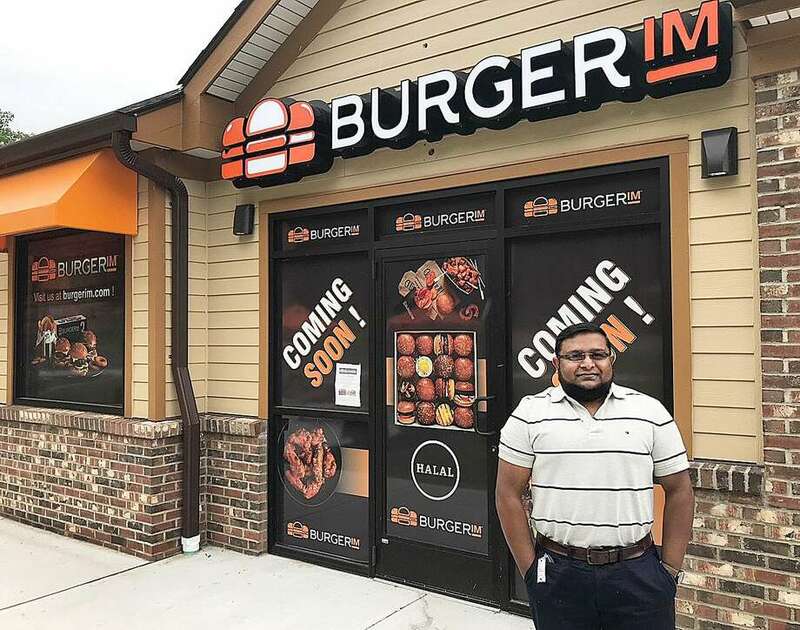 Shah, a New Milford resident, said the ability to make the food halal was a major factor in his decision to return to the restaurant industry and specifically to Burgerim. Shah previously owned Subway franchises. Some ethnic groups have few options for fast food dining, Shah said, because the meat is not halal. Fish sandwiches are typically the only option available to many people. “For Muslims, when it comes to fast food, there is no other option,” said Shah, who stressed that Burgerim is welcoming to all religions and ethnicities. Not all Burgerims are halal, but each of Shah’s franchises will be. He will also open Burgerim locations in Meriden and Manchester this year. He hopes to open one in the SoNo Collection, a mall under construction in Norwalk, next year. Burgerim first opened in Tel Aviv in 2011. It has more than 100 locations — mostly in California and Texas — with nearly 500 under construction. It plans to have 1,000 restaurants by 2019. The Northeast expansion is not limited to Connecticut; there are restaurants currently being built in Massachusetts, New York and New Jersey. “It will be a big national franchise,” Shah said. Burgerim will join a crowded, fast-food restaurant scene in Brookfield and Danbury. Burger King recently opened to join McDonald’s, Wendy’s, Arby’s, Subway, KFC, Chick-fil-A, Moe’s, Salsa Fresca and Dunkin Donuts along a two-mile stretch of Federal Road. Burgerim is in the same building as a new Dunkin’ Donuts. Five Guys and Hummus & Pita are under construction. Shah sees Burgerim competing with the healthier fast-casual concepts. Burgerim will offer beef, spicy beef, chorizo, Wagyu, lamb, spicy lamb, salmon, veggie and chicken patties and a wide variety of toppings such as sunny-side-up eggs and pineapple for what the company describes as its “sensible-sized” burgers. Sandwiches, salads, chicken wings and desserts will also be available. Shah said Burgerim and Hummus & Pita, which is slated to open later this year, will add variety to the area.